A heartwarming, intimate and amusing memoir of a father's experience raising his autistic son. When Tom Fields-Meyer's son Ezra was three and showing early signs of autism, a therapist suggested that the father needed to grieve. The answer: "For the child he didn't turn out to be." That moment helped strengthen the author's resolve to do just the opposite: to love the child Ezra was, a quirky boy with a fascinating and complex mind. 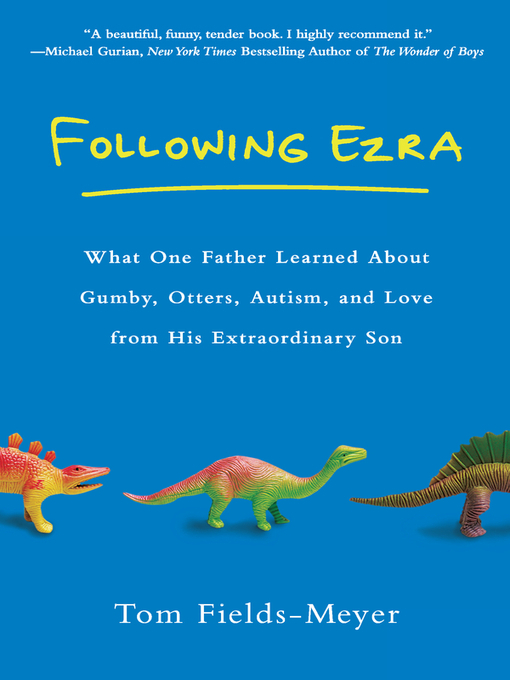 Full of tender moments and unexpected humor, Following Ezra is the story of a father and son on a ten-year journey from Ezra's diagnosis to the dawn of his adolescence. It celebrates his growth from a remote toddler to an extraordinary young man, connected in his own remarkable ways to the world around him.